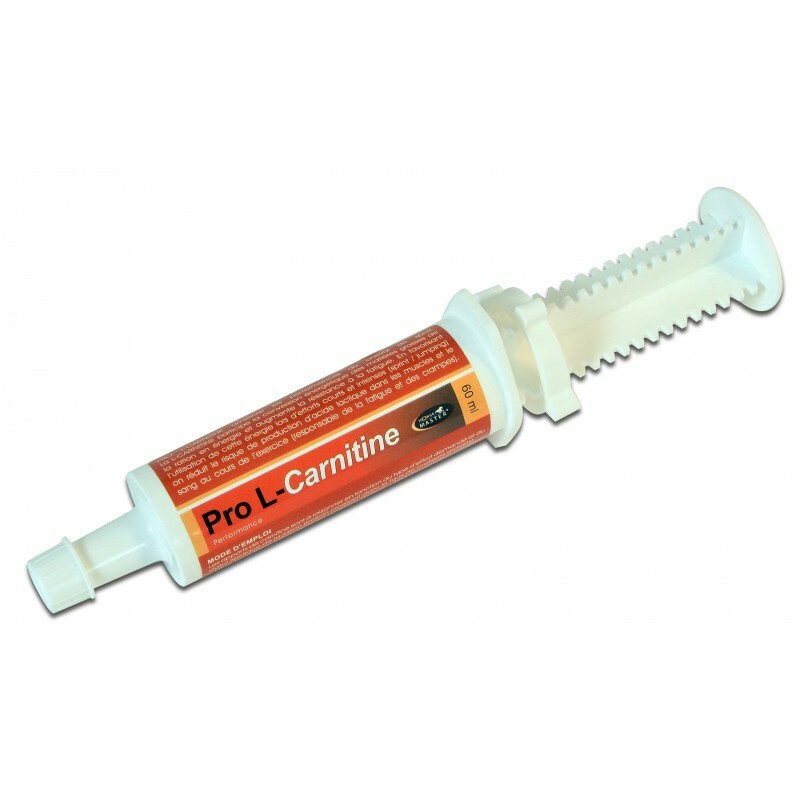 Regular using PRO L-CARNITINE can help to turn fats into energy, can improve endurance and help to delay the onset of muscle fatigue. L-CARNITINE is absolutely essential in the process of transporting fats into cells for energy production, and acts as a buffer by delaying the accumulation of lactic acid in muscle cells and then blood when animals are working at maximum exertion. By delaying lactic acid production with subsequent muscle fatigue, endurance and stamina are extended in performance animals. Short and intense effort : 1 syringe to 11/2 syringe per day, 2 to 10 days before the competition.